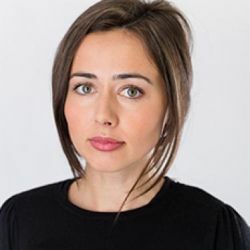 Emina Cerimovic is a disability rights researcher at Human Rights Watch. NEW YORK, Feb 27 2017 (IPS) - The day I met Julija she was playing cheerfully with her baby sister on the floor inside their room in Kragujevac, a small town in southern Serbia. When she saw me – a stranger — on the doorstep, she smiled widely and stretched out her hands, offering a hug. As I held her, I could hear how difficult it was for her to breathe. I looked at her, she smiled and touched my face with her hands and only then did I see that Julija’s fingers were webbed. Julija was born with Apert Syndrome, a rare genetic condition. Children with this syndrome have fused skull bones, resulting in distorted facial features, vision and hearing loss, trouble with breathing and eating, and learning difficulties. In Julija’s case her fingers and toes were not separated either, which made holding a spoon or picking things up difficult. By the time she was barely older than 3 months, Julija had undergone surgery twice on her head and had spent a month in intensive care with pneumonia. Because of her severe breathing problems and her need for frequent specialist treatment that Julija could not receive in her hometown, her parents decided, with heavy hearts, to place her in an institution for children with disabilities in Belgrade, Serbia’s capital, where she would have access to emergency care. However, after only two days, her parents noticed a drastic change in Julija’s spirit. “She was no longer the child she used to be,” Jasmina told me. With Julija back home, her parents worked tirelessly to find help. Ultimately, a relative in Australia made contact with a specialist at the Australian Craniofacial Unit in Adelaide. Supported by private fund raising efforts and the unit itself, in 2015, Juljia underwent life-changing surgery to reshape her skull to make more room for her brain. When I met Julija in November 2015, surrounded by her loving parents, toys, and a baby sister, she was thriving and happy. Her parents told me she had put on weight and learned to sit, which she was unable to do when her parents brought her back from the institution. A few months after my visit she learned to walk on her own. In November 2016, her fingers were unwebbed in a hospital in Belgrade. A child’s ability to access health care needed for survival and development should not have to depend on their parent’s ability to fight for it. Every child has a right to health and health services. However, Julija’s journey has only just begun. She will need professional support to learn to use her fingers. Her teeth are not growing properly. She still needs another facial and skull operation. She understands everything, her parents told me, but she doesn’t speak yet. And her breathing and her eyes have to be managed constantly. Julija was not the only child I met in Serbia who was struggling to get much-needed health care. Hundreds of children with developmental disabilities, the majority of whom have a living parent, are placed in large residential institutions where they are separated from their families. Unlike Julija, they don’t have someone who is working tirelessly to ensure their lives are the very best they can be. Instead, they are often neglected because there is not enough staff, and in some cases confined to beds for their entire lives, without any stimulation. Long-term placement of children in institutions leads to stunted physical, intellectual, emotional, and social development. On February 28, more than 80 countries worldwide are marking the tenth international Rare Disease Day, including Serbia. The Serbian government – and every government around the world– should mark this day by committing to provide all children with disabilities access to the health care they need to stay alive and to grow and develop just like other children. Julija – who was deemed a hopeless case at birth – just celebrated her fifth birthday with family and friends.